FUN, FUN, and more FUN! 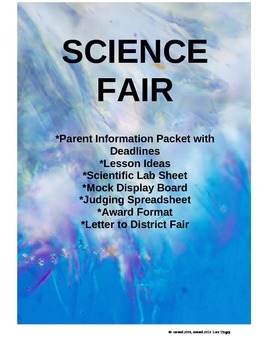 Bundled packet to help teach and organize your school science fair. 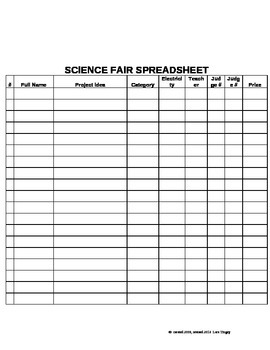 This unit includes a letter to send home, science fair checklist, lesson plans, spreadsheet for organizing projects, award sample, mock display board words, and a letter to district science fair. Lesson plans help emphasize the various areas of the scientific process. These loved activities will engage your students.